The BasicMed rule is now effective! Print off a BasicMed Comprehensive Medical Examination Checklist (CMEC) (PDF) and get your physical exam with a state-licensed physician. Then complete a BasicMed online medical course Then go fly! Must get a physical exam with a state-licensed physician, using the Comprehensive Medical Examination Checklist, every four years. Must complete a BasicMed medical education course every two years. 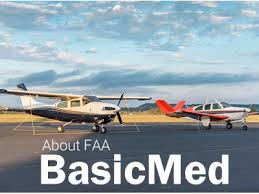 Click here to access the course offered by AOPA. Aircraft must have a max takeoff weight of less than 6,000 pounds.